So i have my first case of ich in the year i've been doing this... decided im actually going to pull my fish out and let the display go fallow. Which copper treatment do you guys recommend? looks like i dont actually need a hob filter just make sure to have a powerhead for flow and a heater and a light. i thought of running a skimmer but ive read to not run one with medication in the water. I assume after 14-30 days of copper i could add the skimmer? Yes so I bought the stick on ammonia alert, copper safe, API copper test kit and some dr tims to get some bacteria in there. I will be using a 20g tank as well as a 20g plastic container to have two tanks to separate livestock. Does this look ok? How stressed are these smaller tanks going to make them if they're in it for the next 2.5 months while I treat them and let the DT go fallow? What if using a few different types of Garlic Oil has not helped? What next, UV Sterilizer or a skimmer with Ozone? The Blue Tang is still swimming and eating, right? I thought it actually looked pretty good when I was there. Not worth fretting too much over. Getting accustomed to a different tank can take months for some fish, especially in a new and relatively bare tank with only dead rock, where the fish are still pretty much the majority of life in the tank. As a comparison, my newly added 5" Blue Tang is still hiding after a month and yet his new home is very old, has tons of LR, Macroalgae, Sponge, bugs and worms. He and the newly added Yellow Tang are as fat as cattle, feasting on Macroalgae. 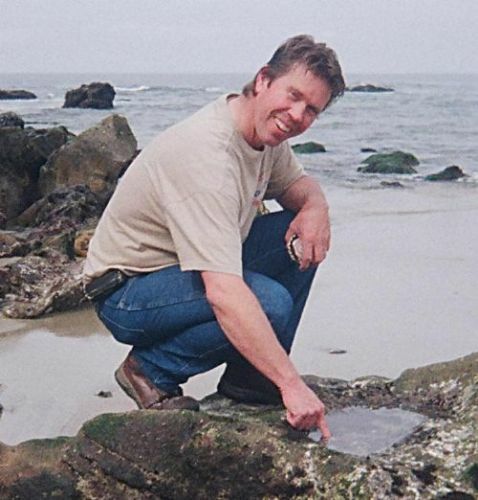 My opinion would be to wait for a few months, add more benthic marine life, let the rock grow more, and try Ozone or a UV Sterilizer(not both). Those units are effective, easy to install and much, much simpler than a quarantine system. Yes, more opinions is good, but like you found when looking at UV Sterilizers, opinions vary. Each tank is different and different things work in different tanks. Also, some opinions should be disregarded because they are based on incorrect use of the equipment or inexperience, or both. Sometimes nothing will work because the environment of a particular aquarium is so stressful for the fish. The difference between a healthy environment and a stressful environment is important for hobbyists to study. We all know that Reefkeeping is not like keeping a goldfish in a bowl and yet I see resemblances way too often. Notice that my advice regarding Garlic Oil is to use it with frozen meaty food. Garlic must be consumed immediately as it goes into the tank. Frozen food thawed and marinated for a few minutes in Garlic Oil without water and dropped into the water slowly in small blobs is rapidly consumed by the fish before all the oil releases and floats to the water surface. Also, my advice in that thread instructs, if one Garlic product does not practically eliminate the Ich Parasite within a day or two, it's not working. Try another Garlic Product. The Solgar Garlic Perles I recommend are the best I've used and have worked for other hobbyists where other products, including Kent Garlic Extreme, have failed. That's an excellent question. If we consider the fishes native environment as ideal, where algae, coral, sponge and other sessile animals cover almost every inch of the real estate, except the sand, then fish are extremely stressed in quarantine/hospital tanks where none of that environment exists. They are much better off in aquariums that match as closely as possible the native environment. Less stress equals better health which equals less issues with disease. Many things in this hobby must be patiently waited for. One of my personal habits is procrastination. It has served me well in this hobby. If waited long enough, many things fix themselves(though some don't ). It has to do with the balance of nature. Yes, the Ich Parasite can and does return, often after a stressful change in the aquarium, like adding a new fish or changing the aquascape and especially after moving the tank or moving that fish. This is why, after the initial 5-day treatment, I recommend using the Garlic Oil Treatment once every 3-4 weeks as a preventive and also after any stressful incident. My understanding is that Ozone(O3) is a product of UV radiation in water, so either method causes small organisms in the tank to be oxidized or in other words, burned up. Many years ago I was the biggest skeptic of UV Sterilization. I asked, How could such a tiny amount of water, run through the UV, possibly make any difference? I thought I understood Ozone but I did not think UV could possibly have any effect. Well, over the years my understanding and my opinion changed. A UV Sterilizer can work very well to stop the Ich Parasite. Years ago, when I had Marks Reef Coral Farm growing in the sun, natural UV radiation made everything clean and healthy. The AI Prime, Hydra26 and Hydra 52 lights have UV LED's that can be used in much the same way as sunlight, though I recommend caution not to overdo it. My latest tank has been running for just over a year. It is my only tank now, but I've done 6 or 7 over many years. I tried to buy all my fish from my favorite fish store near the same time. Get them in quick and hope for the best. Everything looked healthy and then my favorite fish jumped out even with a covered tank. I kind of wanted another fish but I hate taking the risk after everything is settled. I had some algae growing and decided to buy a yellow tang a few months back. It showed ich within a few days and other fish started scratching. The only thing I did was increased feeding, especially nori. The ich went away after a couple weeks and I haven't seen it again. This is just my experience. No garlic or other treatments. Just a lot of food to help it settle in. Every situation is different. I've had mostly bad luck trying to setup hospital tanks, although not always failing. I've had more luck putting fish into a healthy and diverse environment where they were able to find a place to hide. I second MadReefer's experience. The only time ich has been out of control in my system is due to poor husbandry on my part. My current tank had the exact same story as Mad. I had a new yellow tang that got ich due to damage/stress from coming to my tank, and other fish were obviously itchy over the next few weeks. Tons of nori and intense observation to my tank's health, and everyone is great now. Thank you all for your input and suggestions I love hearing other's experiences. I think I'm going to give it some more time and just keep an eye on the fish. So far it seems to only be affecting the blue tang though the foxface does appear to have a few spots unless im imaginging it. All seem happy and healthy enough and i do keep up on my husbandry so hopefully this will be enough. I have also been feeding frozen food with mysis and have added garlic to this with each feeding. Sounds like I'm doing what's needed and I'll just have to play it by ear. 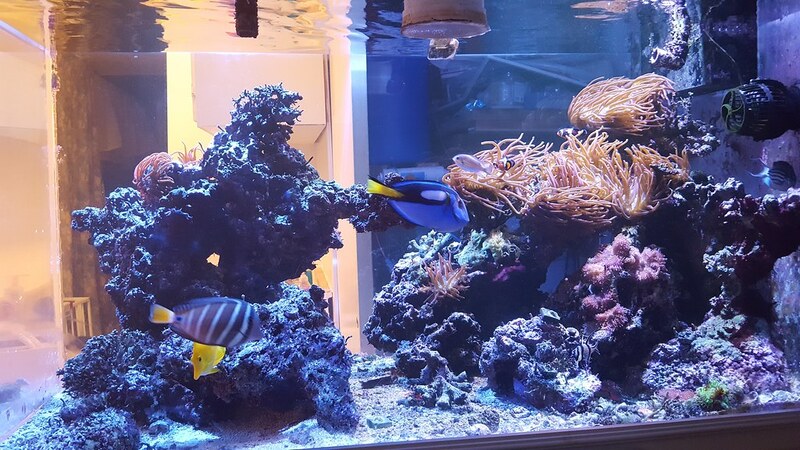 Is there anything I should keep an eye on with the blue tang as far as signs that things are getting worse? Im not sure how long it would be until i should expect to see a reduction in visible ich on her? Worst case scenario would it be valuable to remove and treat only that fish? +1 on giving it time. Feed more than usual but make sure your tank is still talken care of. You may need to do extra water changes or run your skimmers and stuff more to make up for the extra food. Keep them healthy and theyll pull out of it. Ive treated a small blue tang without copper and just doing the tank transfer method. It took less than two weeks since I caught it at the right part of the cycle where the cysts fell off, changed the tank, waited a couple days, did it again, and then it never had them again. On the other hand, I've had it on fish in my display for a bit and all the fish did fine. Havent seen it pop up for about two years now. You could get a UV sterilizer and that may help. I do notice a bit of difference while running one. If you do decide to treat the fish, do it before the cysts drop and infect the rest of the tank. If they have, then you'll have to go fallow or just live with it. I know that fish treatment is not always easy but I would say that it is better than just hoping they will pull through. Ich thrives in the gills of a fish and so it can go unnoticed very easily and re occur later on. The fish that will suffer the most are fish with a thin slime coat. 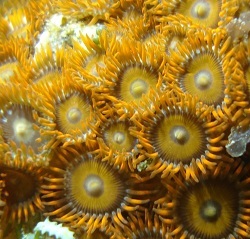 Here is an post that talks more about ich http://www.reefsanctuary.com/forum/index.php?threads/marine-ich-myths-and-facts.23132/ . I chose to pull out all of my fish when one of them got ich. The small timid ones went in a 30 gal long and the large ones went into a 55 gallon. I had 3 tangs, one angel, and a butterfly fish in that 55 gallon for and ammonia never spiked when I changed out 30% every week. Cupramine did a good job and the tank sat fallow for 6 weeks now we are all good. It was not that hard to do. The QT tanks only had pvc and were not cycled in advance. There was no light in the QT (just light from the room). This was my main concern when I concerned qt. I didn't want to have the physical symptoms that I could see to disappear but have the fish suffering because ich was affecting their gills. I think I'm going to keep an eye on the tang and the other fish and if things are getting noticeably worse I'll let it run its course. Does anyone have an opinion on whether letting the fishs immune system fight ich will make it more resistant to it in the future? That post does have some interesting information. It was talking about how researchers could not keep any strain of ich for more than 11 months without loosing the strian (possibly due to lack of genetic diversity) That means that if no new fish is added for a year then any ich will be gone. This is good to know because sometimes healthier fish can keep ich going in their gills and it is the new fish that shows it the worst. I want to keep a fish that is known for being an ich magnet and I knew if I had it in my system it would ensure the likely death of that fish. I chose to actively treat the fish. The hardest part was getting everyone out, and having an empty tank for 8 weeks but I am glad I did it. There are plenty of cases of ich going away on its own. That post says that if that is the case, it was likely that it wasnt ich or the fish was healthy enough to resit it until it died out over a long period of time. I will say that for every "my ich just went away" story there is a story that the ich went away and came back more violent than ever and killed the fish. Most the time it is not all of the fish that die, just the most sensitive. There is a risk to every treatment. Hoping it will go away has a greater risk in my opinion but I wont say that it never works. I had the space to actively treat the fish so I did it and it worked.